Product prices and availability are accurate as of 2019-04-18 20:58:06 EDT and are subject to change. Any price and availability information displayed on http://www.amazon.com/ at the time of purchase will apply to the purchase of this product. 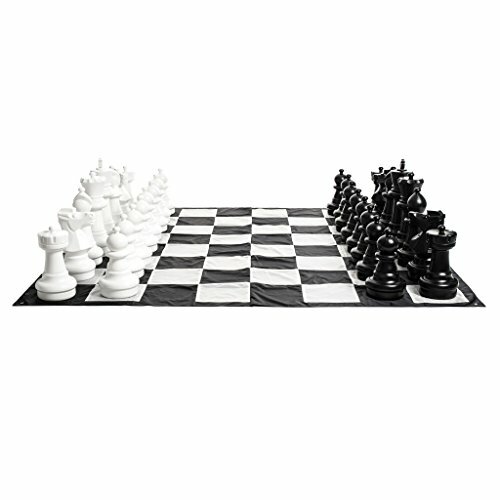 We have also included a Giant Nylon Chess Mat and 4 metal stakes in this offer. The chess mat squares are colored in black and tan to reduce the visibility of dirt. 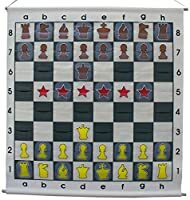 Made from heavy-duty nylon, the chess mat is 9 x 9 feet(L x W) with 13 inch-squares and has a metal grommet in each corner to insert the stakes through and anchor the mat to the ground. 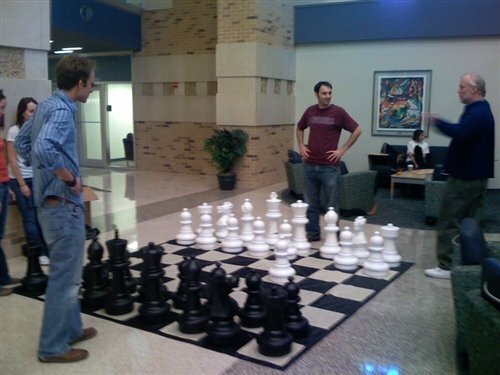 Giant Chess Game Boards are sold separately. Our most popular seller, our MegaChess Giant Plastic Chess Set with a 25" King has turned out to be the best mix of size, weight and cost for chess clubs, schools, backyards, hotels, cruise ships, country clubs, special events and recreational facilities. This set includes a nylon chess board that is easy to set-up. The chess board includes four stakes to make it stable on grass. The plastic MegaChess pieces are nearly indestructible. 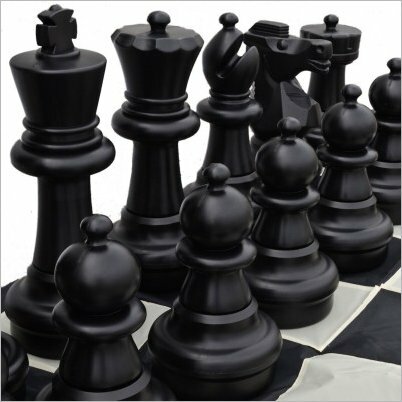 Made from recycled high-density polyethylene (HDPE) plastic, these chess pieces are rugged, waterproof, and UV-resistant. 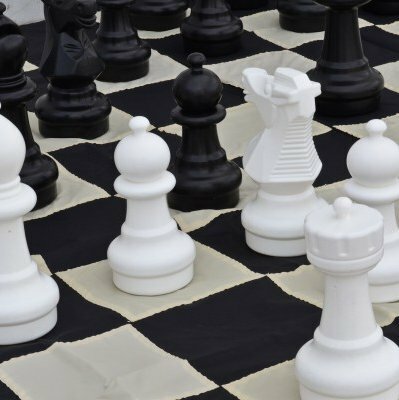 The chess set is specifically engineered to resist staining and fading. They are built to last! The chess set withstands the outdoor elements very well and will retain its color. We have these sets in the heat of the Middle East, the humidity of the Far East, the cold of the Rocky Mountains and the salty air, sun and sand of the Southern California beaches. We offer you the choice of purchasing these chess pieces with or without a chess board. This product DOES COME WITH A CHESS BOARD. 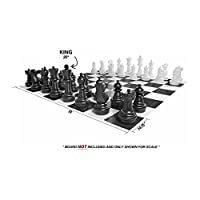 If you would like to just purchase the plastic chess pieces without the chess board, please see our other offering of a Giant Chess Set with a 25" King. Standing 25" tall the giant lawn chess pieces are light enough to move easily, yet massive enough to resist the wind. If you prefer to make the chess pieces a little heavier, you can easily add up to 9 pounds of sand, water or gravel to the bases. Please note, the King in this set is just over Two Feet Tall. It is the middle size of the five plastic chess sets we sell on Amazon. 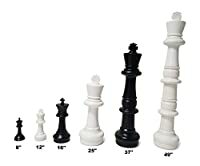 We sell chess sets with Kings that are 12", 16", 25" 37" and 49" tall. The exact height of each pieces is listed in the product description.